The first step in buying or selling a home is to find a Realtor that you feel will support your best interests and has a history of happy clients. With that being said, there are many different types of agents that you can work with. Some specialize in certain areas while others choose to work with both buyers and sellers. There are agents that even specialize in a specific type of home sale, such as foreclosures, short sales, and so on. When you start looking for an agent it is very important to be sure that they are looking out for your best interest and supporting your needs in the transaction. Today, we are taking a look at some frequently asked questions related to the types of agents and which best fits your needs. There are many different types of Real Estate teams and all work in their own unique way. Our team is set up so that each agent is able to specialize in one particular part of real estate so that they can be experts in one area instead of being a “jack of all trades”. Our team consists of five people and four different positions. Our Team Leader, Marti Bedell, works with sellers and skillfully guides them through getting their house on the market, negotiating offers as they come in, and closing. Our Listing Manager, Shelly, works alongside Marti to lead sellers through the staging and selling process and keep them up to date on showings and feedback. Shelly also photographs your home, highlighting its character and showcasing its best features to the buyers. Leisha, our Closing Manager, coordinates everything between the lenders, attorneys, and agents involved in the buyer and seller transactions. Lastly we have our Buyer’s Specialists, Katie and Mary Grace, that work exclusively with those interested in purchasing a home. 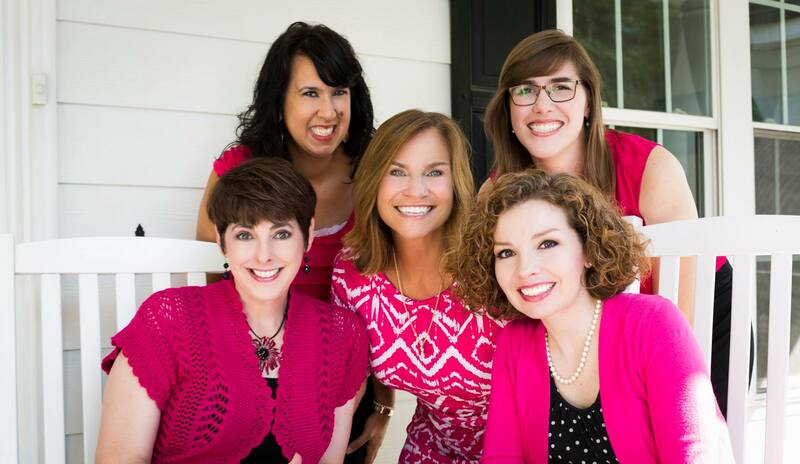 Whether it is your first home or your fifth, you will find yourself in good hands with your Carolina Girls Buyer’s Specialist. Why use a team instead of a solo agent? As a licensed agent, a Realtor can work with either buyers, sellers, or both if they choose. If you were to ask an agent whether they had a preference as to working with buyers or sellers, most would say they would rather work with one over the other. On our team, we are able to work exclusively with the either buyers or sellers, depending on what we excel at. This allows us to specialize in a specific area of the field. A solo agent may tell you this is a disadvantage as we only see one side of the transaction, however that is not the case. Since we work as a team, we have access to the expertise of the other agents on our team. When we have a tricky deal on the table, we are able to brainstorm with our team to come up with out of the box solutions and ideas to make the offer stronger while still working in our clients best interest. While it may not always seem like it, Realtors are in fact flesh and blood human beings that get sick on occasion or have family emergencies. In a team set up, we are able to step up as needed and work with each other’s clients should emergencies arise. If you need a question answered immediately and your agent is unavailable due to being in a closing or appointment, calling our office grants you access to the rest of the team that is up to date on your file. While a solo agent deals with sellers, buyers, lenders, attorneys, closings, pre-approvals, writing and negotiating offers, lead generating, etc. on a daily basis, our team is able to delegate these responsibilities to free up the agent working with you so that your needs are always met. These are agents that specialize in working with sellers and are also referred to as Listing Agents. 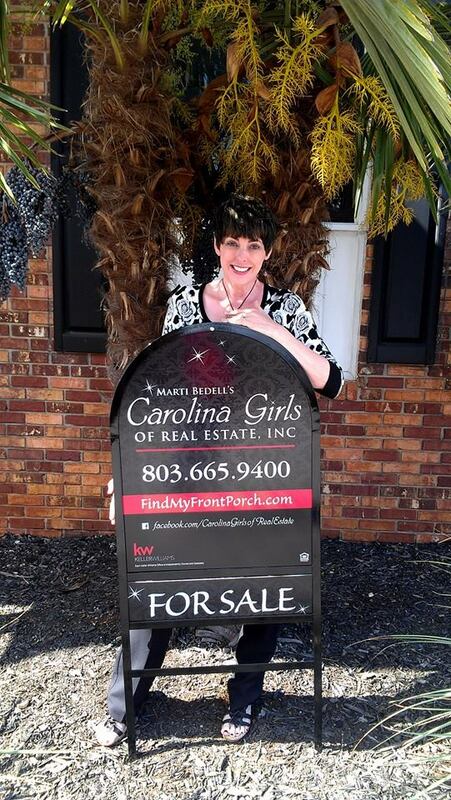 When you call the Carolina Girls with an interest in selling your home, Shelly explains the process and schedules your appointments with Marti. Marti comes to your home to do a walkthrough, takes notes about all its features, and offers suggestions for repairs or upgrades. She then returns to the office and does extensive market research to determine the current market value of your property. This is a step that many agents skip because it does take several hours to complete; however it is very important for you to get the highest value for your home. You want your home to make the best first impression on the market which is accomplished by getting it in good condition and pricing it right. Marti meets with you for a value meeting to discuss the market value and costs involved in selling your home to ensure that you are not surprised down the line. When you choose to sell your home with use, Marti is your negotiator and protector as offers come in so that you are not overwhelmed and stay well informed every step of the way. 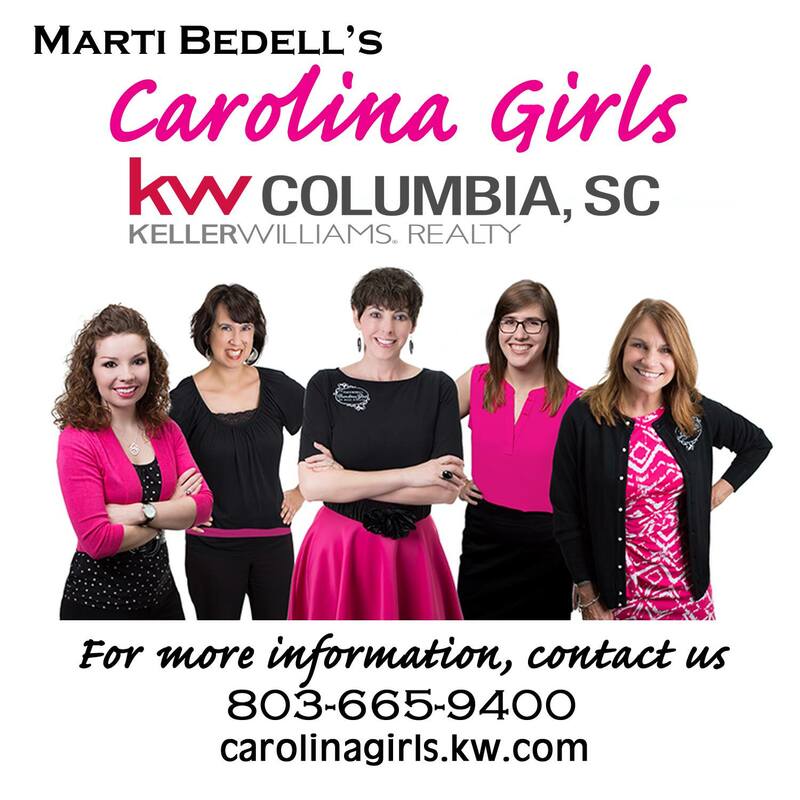 When you call the Carolina Girls with interest in buying a home, we put you in touch with one of our Buyer’s Specialists, Katie or Mary Grace. When you decide to become a fully represented client, they become your guide through the entire home searching and buying process. Our Buyer’s Specialist are fully licensed agents that prefer to work with buyers in the search and purchase of a home. They spend 100 percent of their time with buyers. Your Carolina Girls Buyer’s Specialist will set appointments for you, research properties, schedule inspections, advise on contracts and negotiations, and do their best to smooth out any bumps along the road. The greatest thing about working with a Buyer’s Specialist is that their commission is paid by the sellers. Essentially you receive excellent service and guidance from a specialist all at no cost to you! Should I buy through the Listing Agent? Often times buyers choose to view a home by calling the agent that listed the home. Those that call into our office are then shown the home by one of our Buyer’s Specialists and should they choose to purchase the home can be represented by the Buyer’s Specialist as well. In this case, although our team is representing both the Buyer and the Seller, we have two different agents involved. 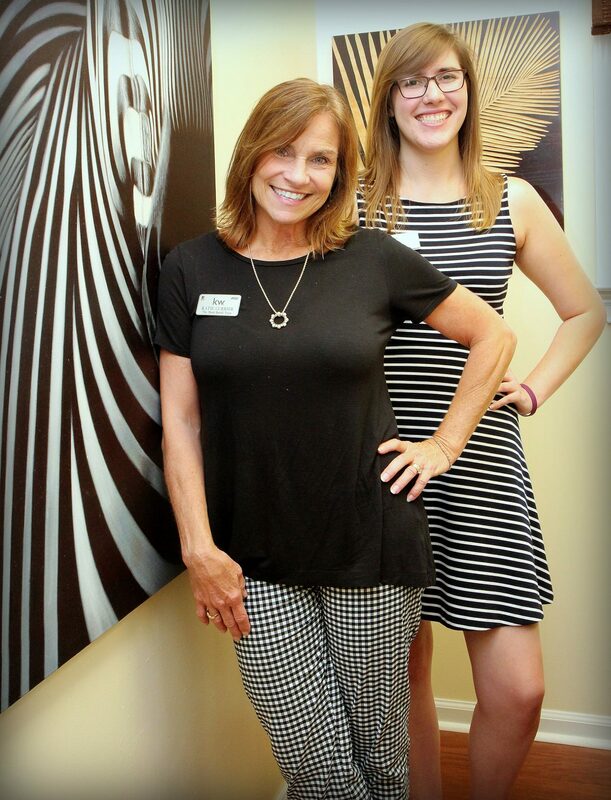 Our Team Leader, Marti, works to keep the Seller’s best interest accounted for, and either Katie or Mary Grace represents the Buyer’s interest. We are able to keep these separate and professional because two different agents are involved. Our agents have done this many times in the history of our team and brokerage. It can be more difficult when the listing agent is an independent and is representing both sides of the transaction. Why should I use this team? 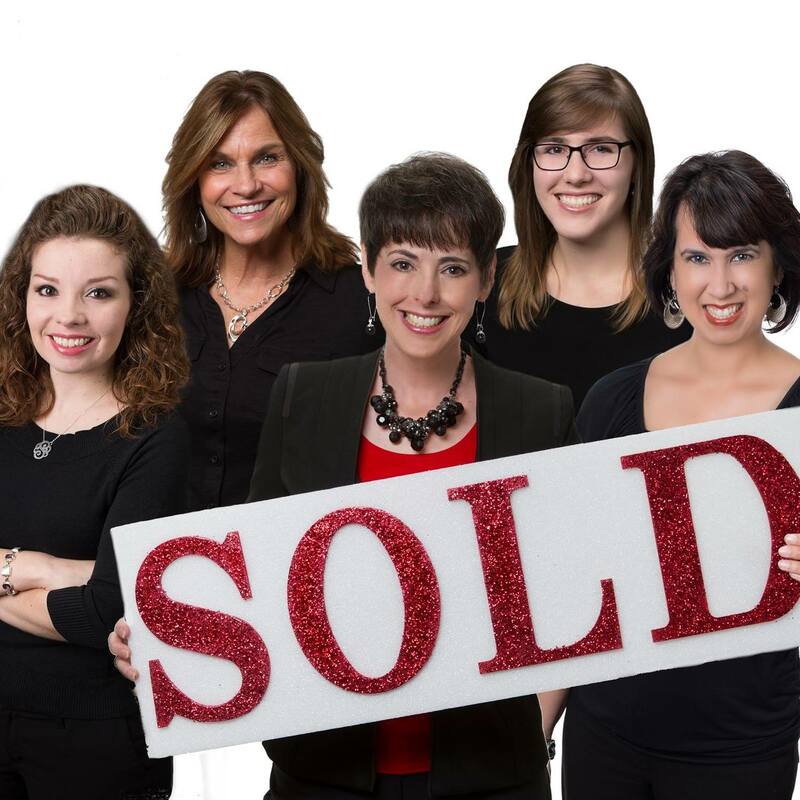 As you can see, the Carolina Girls with Keller Williams Columbia has a history of selling faster and at prices closer to the list price than your average MLS agent in the Columbia area. We also have great reviews from our past clients which you can check out here. If you are not quite sold on our team, we encourage you to call in and set an appointment with us! We are here to answer you questions and guide you through buying or selling your home. We truly care enough to do real estate right!